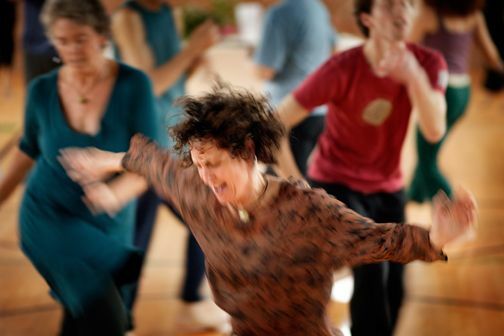 Men and women of all ages and experiences are invited to participate in this workshop series that combines dance, writing and poetry, using creative Improvisations and choreographic structures. Be prepared for some deep listening to the rhythms of the body and playful, spontaneous explosions of movement, alone and in partners and the entire group. Bring your curious self! Open to a new way of inhabiting your precious body. This class holds the space for nurturance in safety and trust. Together we create an inclusive, participatory and collaborative environment where each dancer can contribute his/her unique creative energy to the group. We will craft a movement piece which will culminate in a sharing with our family, friends and community.